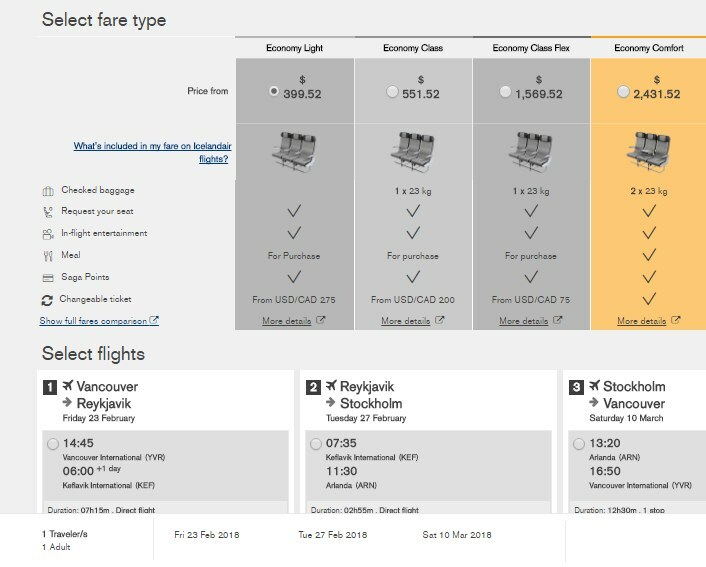 Icelandair has dropped the price of some January, February, March, and April 2018 flights from Vancouver to Stockholm, Sweden down to $380 CAD roundtrip including taxes (carry on only) or $532 CAD roundtrip (with a checked bag). 3. As for the dates to use, for the first and last flights, try using dates from the list of regular roundtrip dates above. And then play around with the middle date to give yourself more or less time in Iceland vs Sweden. NOTE: Only using certain 'middle dates' may result in the cheap price. It can be easier to try playing around with dates on Google Flights, and then searching for those dates on the Icelandair website. Update @ 10:41 AM PST - Looks like almost all of the cheap ones are gone. Still seeing January 19 to January 25 for $380 roundtrip. But that might be the only one. 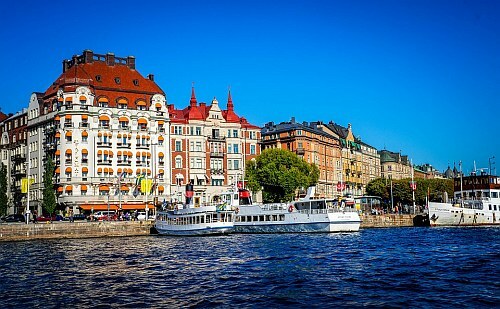 vancouver, yvr, flight deals, europe, northern europe, scandinavia, icelandair, western europe, nordic countries, reykjavík, iceland, kef, stockholm, sweden, arn and reykjavik. 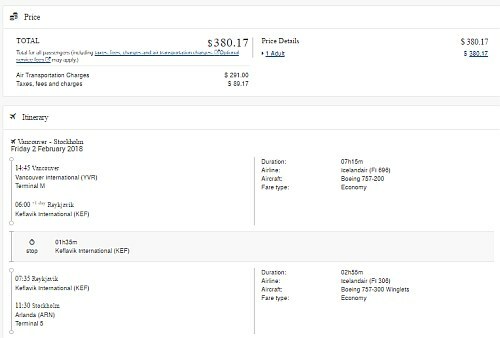 5 Responses to "Vancouver to Stockholm, Sweden - $380 CAD roundtrip (carry on only) to $532 (checked bag) | add Iceland for $19"
Thanks Chris, booked Feb 23-March 10 at that price, but I couldn't find a way to add the layover in Iceland. Will try their customer service. You may need to play around with the middle date. Sometimes only certain 'middle dates' give the cheap price. For example, Feb 23 to Feb 27 to Mar 10 gives the cheap price. But Feb 23 to Feb 26 to Mar 10 is more expensive. I'll add a Google Flights link to the post that people can use to try playing around with dates. 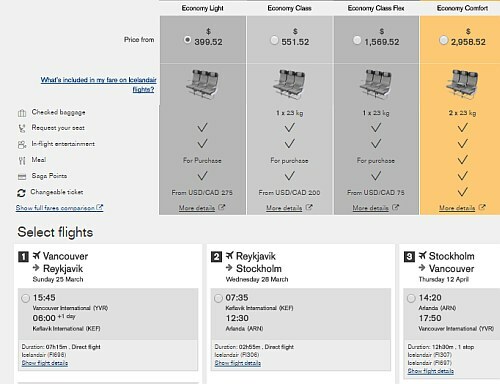 It can be easier than trying to play around with dates on the Icelandair website. Is there one that start from Jan 12? Or Jan 21 but be back a bit earlier like Feb 3? The closest I've seen is Jan 19 to Jan 25 -- which might be the only one left now.